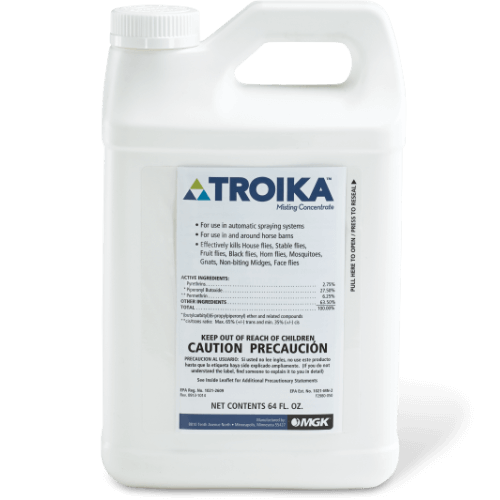 Troika ® Misting Concentrate is a powerful combination of active ingredients that delivers quick knockdown and kill of mosquitoes and other flying pests. Reference the product label for the full list of pests killed or controlled. What product sizes are available for Troika?